December 10, 2014 --Following the launch of the Academy’s strategic plan, “Connecting Our Strengths: The Andover Endeavor,” the Alumni Council has developed its own guiding document. 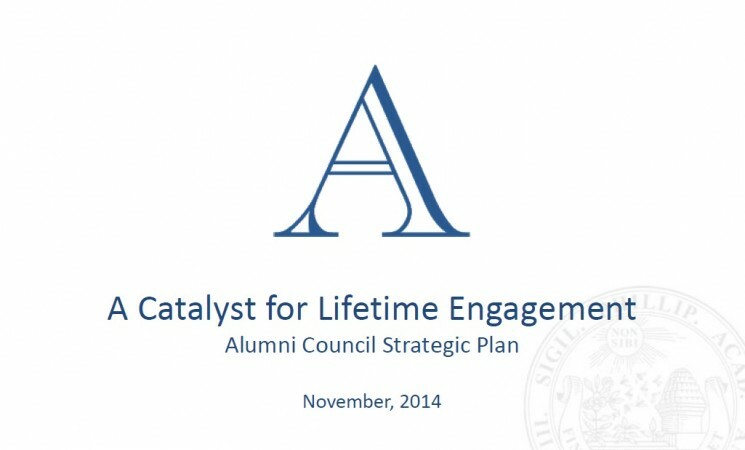 Titled “A Catalyst for Lifetime Engagement,” the council’s strategic plan builds on the premise that an informed, active and networked alumni body is essential to a vital Academy. 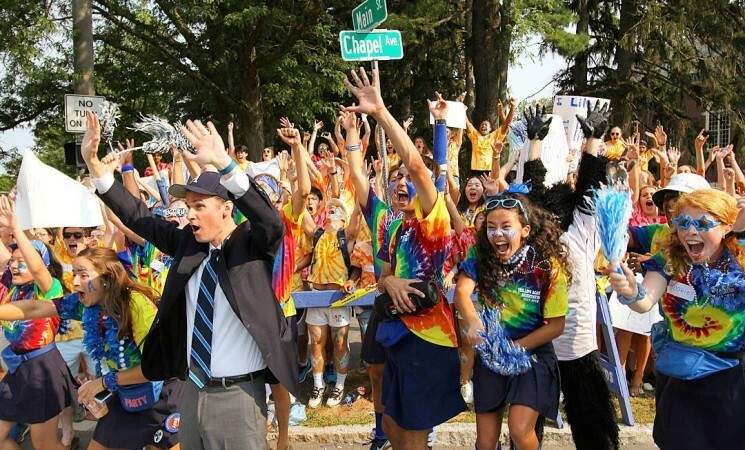 Connect alumni to each other through common bonds and special interests (e.g., non sibi service projects, Af-Lat-Am reunions, alumni Out of The Blue, Andover and the Military events). Define processes for establishing affinity groups and refine technology for connecting alumni by affinity/interest (e.g., athletic groups, the Phillipian, wellness, career interests, the arts). Increase diversity of Alumni Council membership (to represent overall alumni body). Actively promote gender equity (e.g., consider new committee—Women of Abbot and Andover). Reorganize some committees into a new committee—Alumni Events Beyond the Hill. Support the work of the Annual Giving Board and class agents; help raise annual funds for the Academy. Support admission efforts by interviewing prospective students and strengthening the Alumni Admission Representative work with regional representatives and AAR newsletter. Work with CAMD and other campus groups to increase mentoring opportunities with students (e.g., Brotherhood, Out of The Blue, Girls’ Leadership Project, student-athletes). Increase opportunities for more alumni to engage with appropriate organizations “on the Hill” (e.g., Addison, Peabody, athletics). Coordinate more closely with groups such as the Andover Development Board and Asia Council. Advise the Office of Alumni Engagement. 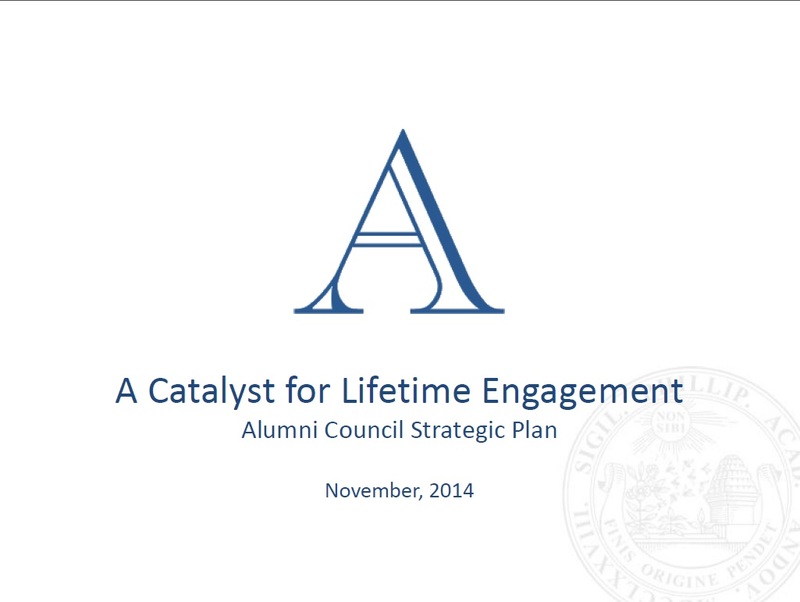 The full plan is available online: Catalyst for Lifetime Engagement. Tom Beaton ’73, president of the Alumni Council, said the plan’s vision and initiatives emerged from a solid foundation, built on the work of previous councils and the dedication of hundreds of volunteers over the decades. The Alumni Council was founded in 1946 and continues to evolve to meet the changing needs of the Academy and its 25,000 alumni. Engagement may take many forms—from interviewing candidates, organizing regional events and advising students, to establishing shared interest “affinity groups” or leveraging technology to enhance mentoring or generate awareness for non sibi events around the globe. 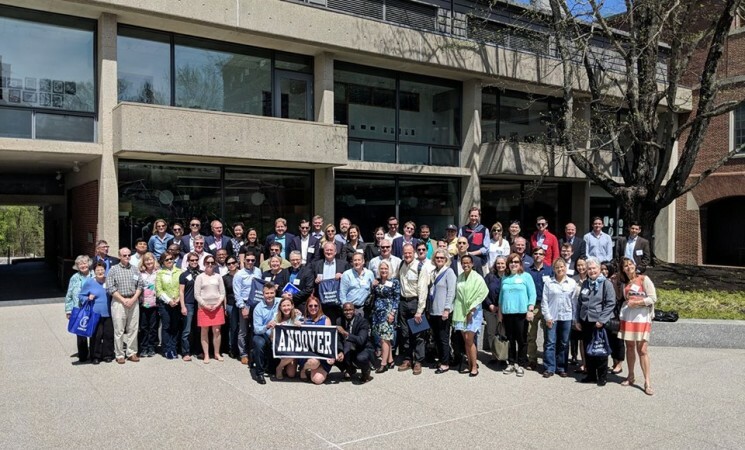 For more information about the Alumni Council or how to get involved, contact Debby Burdett Murphy ’86, director of alumni engagement, (dmurphy@andover.edu).